A new revision on the table approved by Minister of Labor and Social Development Ali Al-Ghafees in view of the changes and developments in the labor market has set penalties for employers who will violate the rights of expat employees as stated in the Saudi Labor Law. 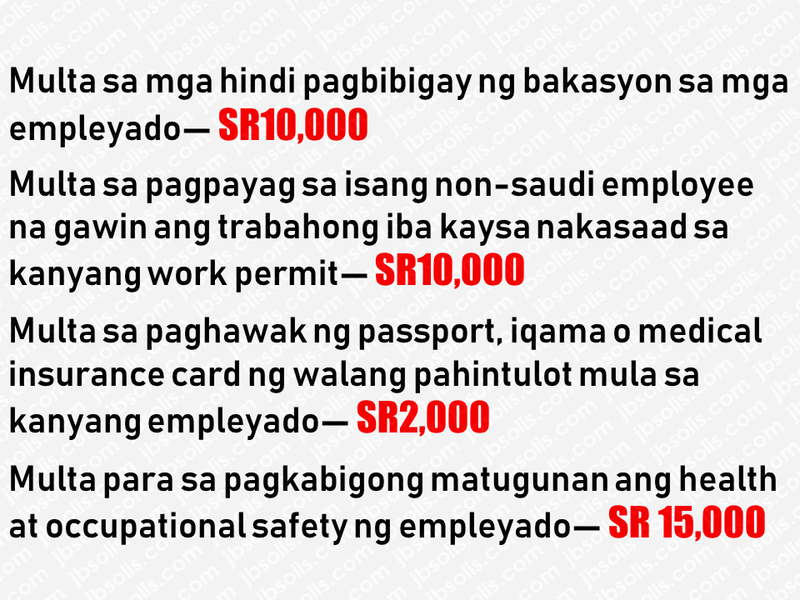 —SR10,000 will be given to employers if they violate Labor Law provision with regard to the prescribed holidays of their employees. 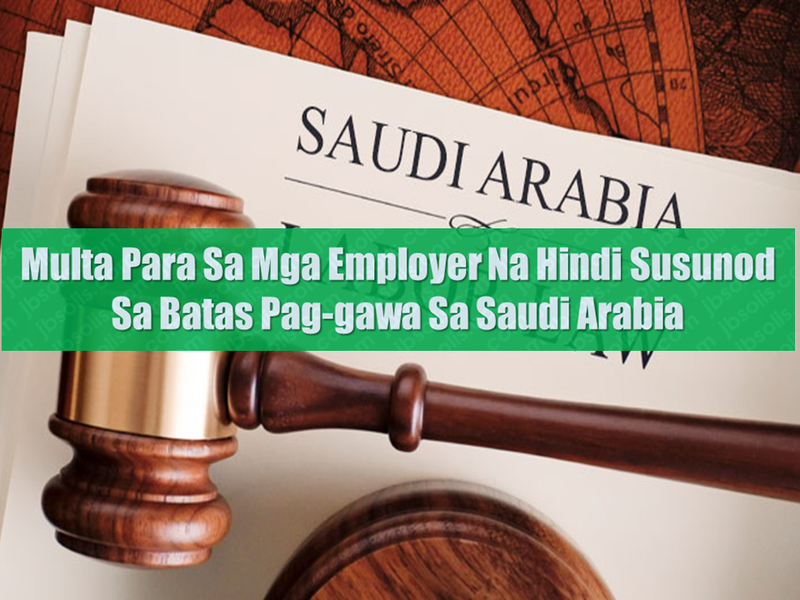 —For employers who violate the revised Article 38 of the Labor Law by allowing a non-Saudi employee to work in a profession other than the one specified in his work permit a SR10,000 fine will be imposed. —The same amount of fine (SR10,000) will be imposed if Article 15 is violated by not opening a file of the firm in the Labor Office or not updating the data of the firm at the office. —Employers that keep employee’s passport, iqama (residency permit) or medical insurance card without his consent will be fined SR2,000. A fine of SR10,000 will be given to employers for not having organizational regulations or not complying with them. Likewise, failure to submit the Wage Protection file to the Labor Office every month will result in SR10,000 fine.SR15,000 fine will be given if the firm fails to meet the requirements of health and occupational safety of its staff. Settlement of fine has to be made within one month after the issuance of penalty, failure to comply will result in making the fine double. Employers who will commit the same violation will have to settle double the amount of the designated fine.